Gerald “Jerry” Alfred Bussiere, 82, of West Swanzey, died on Friday, January 11, 2019 in the comfort of his home. He passed peacefully with the love of family near after a period of declining health. Gerald was born the son of the late Margaret (Nallet) and Niel Bussiere on January 30, 1936 in Swanzey. He was a 1955 graduate of Keene High School. 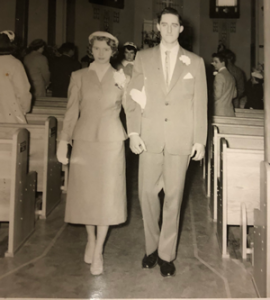 On April 12, 1958 he married his loving and supportive wife, Winifred Murphy. They were married at St. Anthony’s Church in Swanzey with family and friends in attendance. They have been married for sixty years. They lived in West Swanzey the majority of their married life. He was an avid hunter and fisherman who peacefully passed onto his final hunting ground. 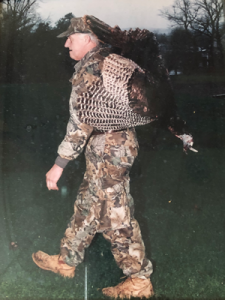 In addition to softball, hunting and fishing he thoroughly enjoyed just being outdoors during any season. He was a proud softball coach and proud member of the Swanzey Marching Band. Jerry worked for the Keene Sentinel for the majority of his career until his retirement in 1998. Post retirement, he enjoyed working for the Town of Swanzey in various capacities. He and Winnie looked forward to their frequent dinners at their favorite restaurant, “Nick’s” whose owners and staff treated them like family. Mr. Bussiere is survived by his wife, Winifred “Winnie” Bussiere of Swanzey. Their three daughters, Kathleen “Cricket” Venice and her husband Donald of Hinsdale, Leslie Bentley and her husband Michael of Spofford, Diane Forcier and her husband Peter of Swanzey, his son-in-law Gary Rouleau and his wife Brenda, five grand-children, Bradley Rouleau of Hinsdale, Mark Rouleau and his wife, Hillary of Swanzey, Jarrod Hamlin and his wife Sarah of Swanzey, Christopher Vincent and his wife Rebecca of San Jose, California and Jason Vincent of Sacramento, California and seven great grand-children, Matthew, Tavin, Brynn, Annalise, Charlotte, Raylan and Kameron. 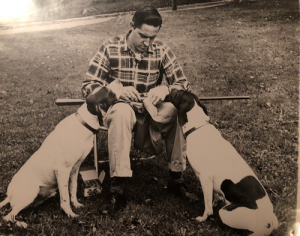 He is also survived by his sisters, Barbara Metcalf and her husband James and Margaret “Peggy” Olmstead and her husband David, his sister-in-law Laura Webber, his brother-in-law Leonard Daigle, several nieces and nephews, a God daughter, Nicole Collette, and his beloved dog, Patty. He is pre-deceased by his brother Niel “Peanut” Bussiere.